This is a nice light bread. Very good taste and texture. 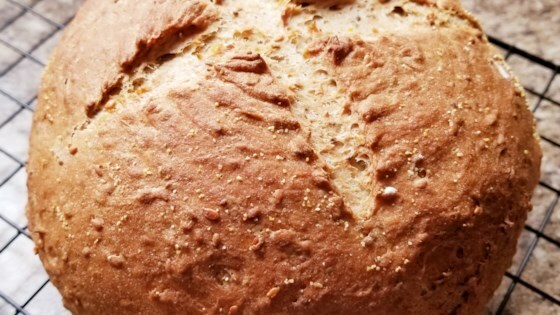 It's the best multigrain bread I've ever made in my bread machine. A really great thick bread. I added soynuts and pine nuts to make it even heartier. Absolutely gorgeous! Very good. Makes a small loaf (probably 1 lb). Changes I made because I had no poppy seeds: 2 tbsp of flax seeds, 1 tbsp+2 tsp sunflower seeds. I love the taste of sunflower seeds in bread.